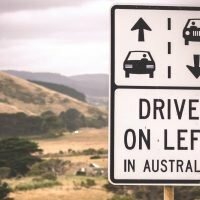 So, if you happen to be visiting Australia for the first time, here are the most important things to keep in mind for a safe, fun and smooth trip. For instance, if you’re coming from China or Eastern Europe, don’t be caught by surprise with Aussie prices. Keep in mind that drinks for one will cost you around $15, while meals out often reach $50 and higher. So, if you’re planning to do any of the big cities like Sydney, Brisbane or Melbourne on a budget, you’ll need a good plan. Even though Aussies are quite famous for their love of beer and wine, their alcohol laws are very strict! You can’t buy alcohol in supermarkets, but only in specialized bottle shops. Nightclubs are also quite serious about drinking laws, especially in NSW. Oftentimes, you can’t get shots and you can’t even enter the club after a certain time! Aussies have pretty slow and expensive internet and finding free Wi-Fi is very hard. So, if you absolutely need to stay connected, invest in a hotspot to carry with you. Another thing to keep in mind is that Australia uses a type I outlet, which means you’re most likely need an adaptor to stay plugged in. Luckily, brands like Go Travel sell these adaptors for very cheap. They also offer different useful travel accessories that can come in handy like locks, hidden wallets and RFID guards. Muggings are generally very rare in Australia, but it’s better to be safe than sorry! Even though Australia is notorious for all the killer animals that live there, you can almost bet that you’ll be absolutely fine! Current statistics count only one death by snakebite a year and that’s usually the human’s fault. Snakes and other critters only attack if they feel threatened, so if you encounter any wildlife, leave the poor animal alone. Forget about spiders, snakes and sharks…The biggest health threat in Australia is its intense sun that will cause you to burn quickly and intensely! Sometimes, 10 minutes in the direct sun can turn you into a lobster if you’re not wearing sunscreen. Even when the temperatures are quite pleasant, the sun can damage your skin. So, make sure to pack plenty of sun protection with a high SPF! Many tourists think that Australia is blessed with perpetual sun and beach-appropriate temperatures. It’s true that the country gets a lot of sunny days, but it can get chilly too. If you find yourself in Melbourne or Sydney during the winter, you won’t have a good time without a jacket! One of the best ways to get to know Australia is to have a road trip. But plan your route carefully and come prepared if you’re planning to visit the Red Center. First of all, there’s not much to see most of the time and the distances between towns are HUGE! So, pack as much water and supplies as you can fit in your ride and make sure to choose an appropriate and reliable vehicle. One last piece of advice: Prepare to have the time of your life! Australia is full of interesting places to see, things to experience and people to meet, and you’re guaranteed to have plenty of fun, especially when you come prepared and well-informed. So, keep these tips in mind and get ready for your Aussie adventure! Great tip, I will definitely take note of this before I go travel to Australia.